A trip to Cape Cod for Christmas offered me yet another opportunity to photograph this beautiful New England peninsula. Here are some of my favorite photographs from the trip. I was out on Cape Cod again last month, and I have a new batch of photos to share. It wasn't a snowy winter wonderland as it has been on some of my previous trips, but visits to new places gave me some new subjects to photograph. Unfortunately, I didn't take as many photos this fall as I normally do, but I'm quite happy with the ones I took. Now that December's upon us, it certainly feels like winter, so I think it's a good time to look back at the past season in photos. I attended Saratoga's Victorian Streetwalk on December 1st for the first time in several years. 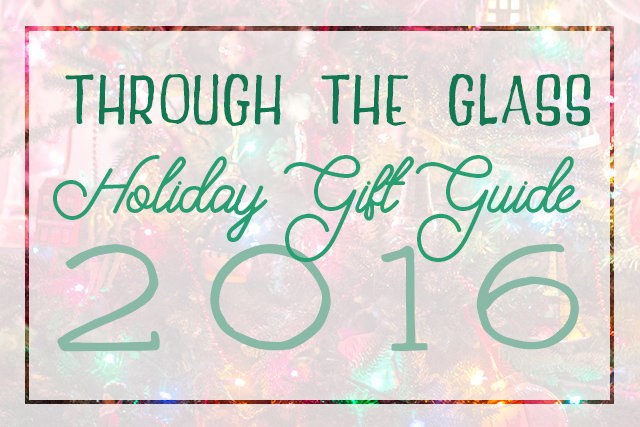 This annual event is a fun way to ring in the holiday season. Two weeks ago, I adopted a sweet six month old kitten whom I named Franny. She has taken quite quickly to her new forever home, and is happy to pose for the camera. Here a few of my favorite pics of her. This is the sixth post on my Pacific Northwest trip. If you haven't already, please check out my posts on the Columbia River Gorge, the Timberline Lodge, the Northern Oregon Coast, Oregon Coast Historic Sites, and the Alderbrook Resort. In this post, I will share photos I took in Washington State's most famous city, Seattle. Now that it's September and school starts tomorrow for us teachers, summer may not be officially over, but it might as well be. Looking back on the many photos I took in Saratoga this summer, I noticed I had a lot that never made it into any of my blog posts. I only went to the track once this season, and for once I didn't take any pictures. You can always check out my NYRA-tagged posts for photos I took in previous years, though. The photos I took in Oregon and Washington are in my PNW-tagged posts. This is the fifth post on my Pacific Northwest trip. If you haven't already, please check out my posts on the Columbia River Gorge, the Timberline Lodge, the Northern Oregon Coast, and Oregon Coast Historic Sites. In this post, I will share photos I took in and around the Alberbrook Resort in Union, WA. Yesterday I shared my favorite photos I've taken in National Parks in honor of the US National Park Service turning 100 today. The truth is, though, while the National Parks are the crown jewel of the NPS, the other lands in the system (such as National Seashores, National Monuments, and National Historical Parks) far outnumber them, and as a result, I've been to a lot more of those. In this post I will share my favorite photos from NPS lands that are not National Parks. With the National Park Service turning 100 tomorrow, I'm dedicating this post to my top photos taken at National Parks across the United States. The four U.S. National Parks I've visited so far are Yellowstone, Grand Teton, Yosemite, and Glacier. Aside from these, I have visited a large number of other NPS-governed lands (such as National Monuments, National Historical Parks, etc. ), which I will share in a follow-up post tomorrow. The photographic highlight of my recent Pacific Northwest Trip was visiting the Northern Oregon Coast. If you haven't already, please check out my posts on the Columbia River Gorge and the Timberline Lodge. Having just returned from a trip to the American Pacific Northwest, I have a ton of photos I just can't wait to share with you. In this post, I'll share photos I took in the beautiful Columbia River Gorge area of northern Oregon. I don't know a photographer who doesn't love a good waterfall. Waterfalls are pretty much always good photo subjects. 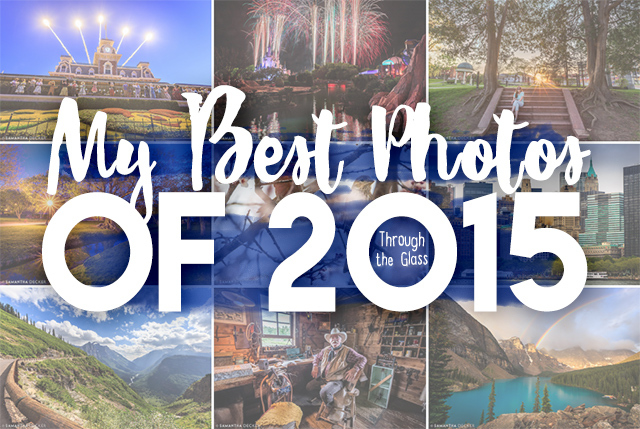 In this post I've rounded up my 10 - make that 15 - favorite waterfall photos. In 2014, I wrote a blog post called The Photographer's Guide to Saratoga Springs, NY, featuring photos I've taken in my hometown. I've decided to expand on that and now share some photos I've taken in the greater Albany area. Before you read, please note that this is not a comprehensive guide to everything there is to see in New York's Capital Region. Having spent most of my life here, however, I have a pretty good idea of what I think are some of the best photo spots. Summer is when they say the population of my hometown of Saratoga Springs, NY, doubles. It's just a hot destination with lots to do - and lots to photograph! 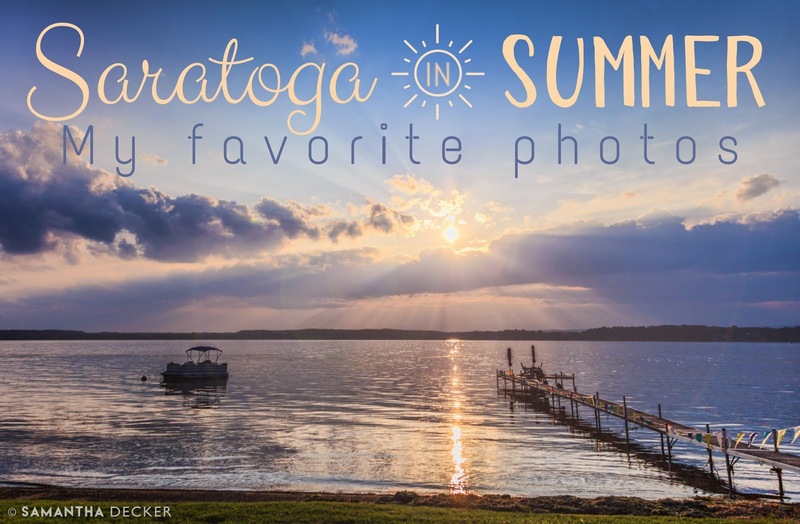 In this post, I'll share some of my favorite photos of Saratoga goings-on in the summer. Today I'd like to announce my latest endeavor: an online storefront filled with products featuring my photos. 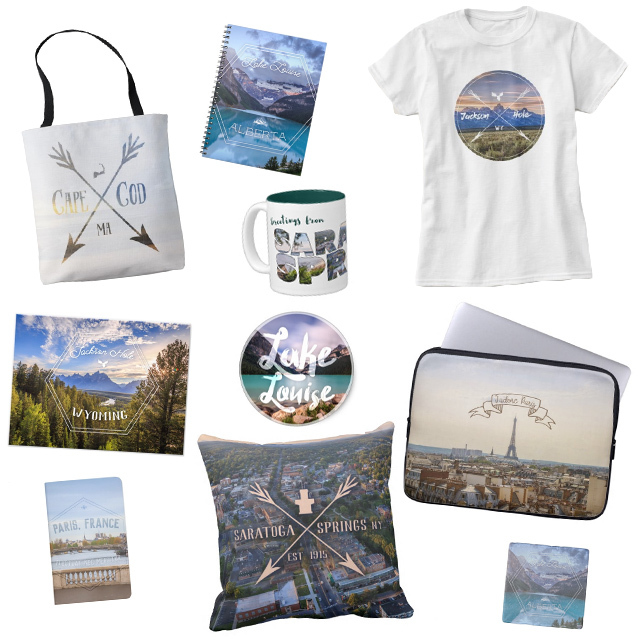 I've been working on a few designs featuring photos from my travels, and I'm ready to share my store with you. Products currently include, prints, posters, t-shirts, notebooks, greeting cards, coasters, bags, stickers, laptop sleeves and more. Below, have a look at the first batch of designs that you can find on the various products. Selfies, while they've existed pretty much since the dawn of photography (see the world's first selfie here), have in the twenty-first century become a hallmark of our culture, for better or worse. As a photographer, I have always enjoyed finding ways to take selfies that have some sort of artistic merit. My definition of selfie is a photo in which the photographer appears. A few of these photos really challenge the idea of a selfie, but I do appear in all of them. 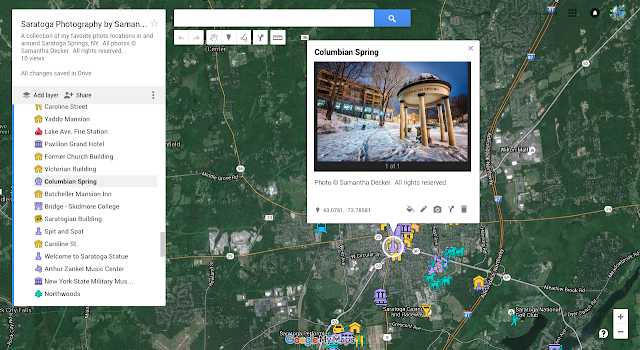 Recently, I've been working on a Google Map geotagging my photography around Saratoga. On this map I've pinned food, nature, architecture, and entertainment. While Google Street View can give you a feel for an area, it is often distorted, and Street View can't go everywhere. Use this map if you're looking to get acquainted with Saratoga, find places to photograph, find places to eat, or just explore some photography. The final chapter of my recent Southern California trip was a day at Disneyland Park. Disneyland is the land that Walt built, and the only Disney Park that he saw completed. Santa Monica and Malibu offer miles of scenic coastline, interesting architecture, and well-known attractions that make for lots of photo opportunities. This was my second time visiting the area, but I still managed to come away with plenty of new photos. Santa Barbara, known for its red-tiled roofed buildings, is an easy day trip from the LA area. On my recent trip to Southern California, I visited this city known as the "American Riviera" for the first time. After editing thousands of photos from my trip to Southern California, I am ready to share some of them on the blog. This first post will feature photos from beautiful Pasadena, just outside Los Angeles. Taking photos at museums can be both fun and challenging. It can be difficult to find creative ways to capture the essence of the museum that go beyond simple documentation. 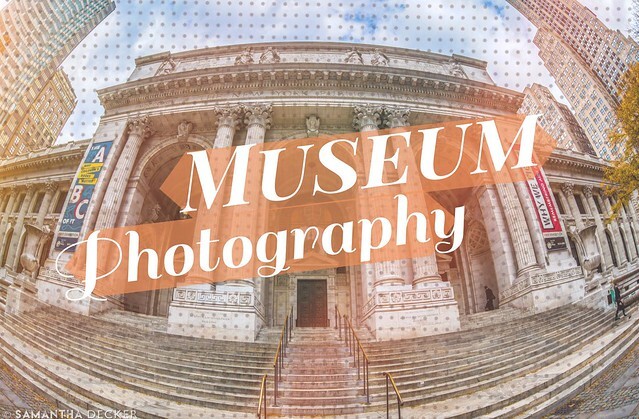 In this post I will share some of my favorite museum photos as well as tips for making the most of a trip to the museum. This is my third post extolling the virtues of a particular lens. Previously I blogged about the Canon 135L and the Tamron 150-600. Today I will be singing the praises of the fisheye. While this post is about fisheye lenses in general, but the one I use is the Zenitar 16mm f/2.8. Yesterday my friend Barb and I, anxious to get out and take some photos despite the winter weather, headed up to Glens Falls for some dusk shots. We were cold, but thanks to Barb's toe warmers, we lasted a lot longer.